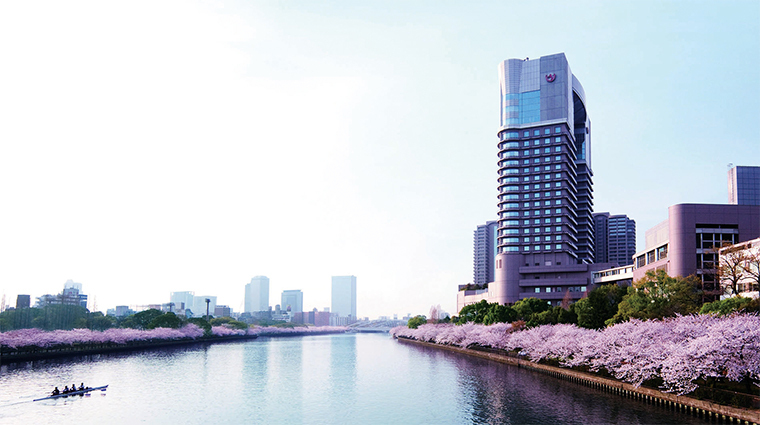 The Imperial Hotel is something of an institution in Japan — its very name conjures up images of royal visits by important dignitaries and world-famous guests from the realms of politics, film and music. 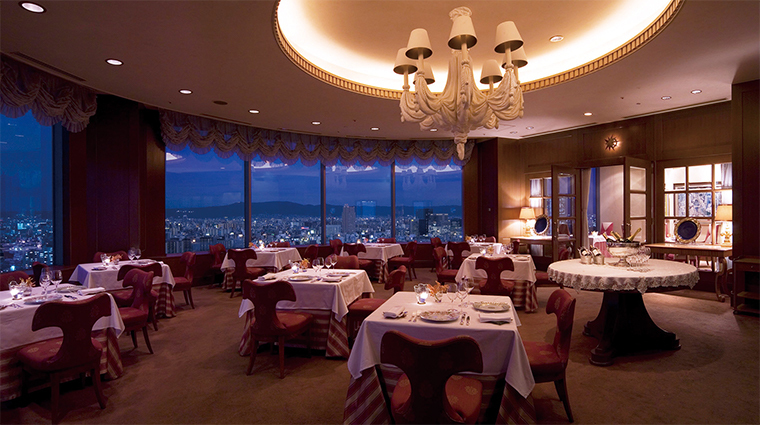 Imperial Hotel, Osaka, an outpost of the venerable brand, was built in 1996 and continues in the same tradition of meticulous service and luxury. 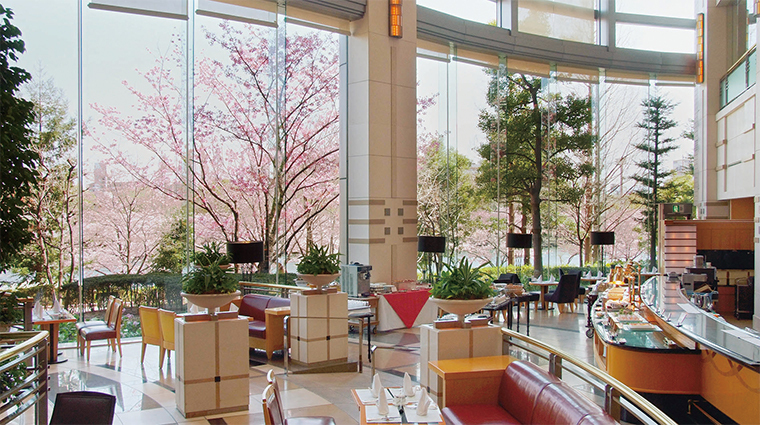 It’s conveniently situated in a scenic location on the cherry-blossom-lined banks of the Okawa River, only a short stroll away from Osaka Castle Park. 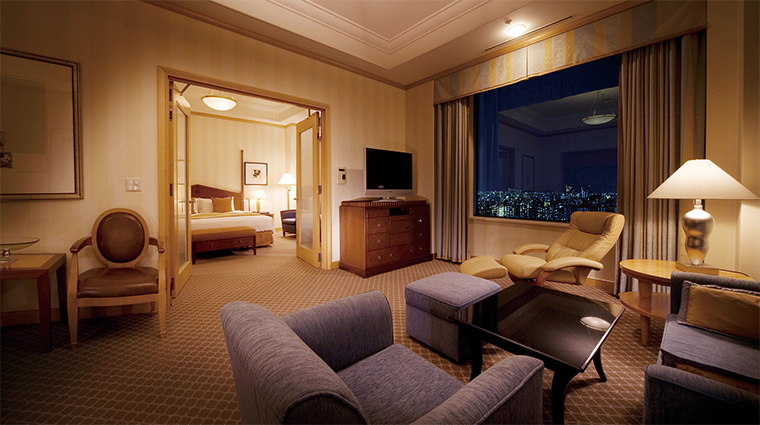 A bastion of peace and tranquility, Imperial Hotel, Osaka is an ideal place to unwind and recharge in one of the quieter corners of this sometimes-frenetic city. 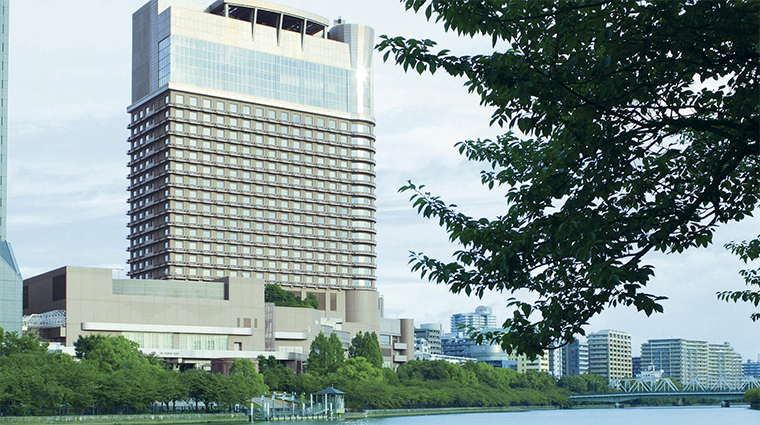 Yet it can still be easily reached by either train or the hotel’s complimentary 15-minute shuttle service to and from Osaka Station. 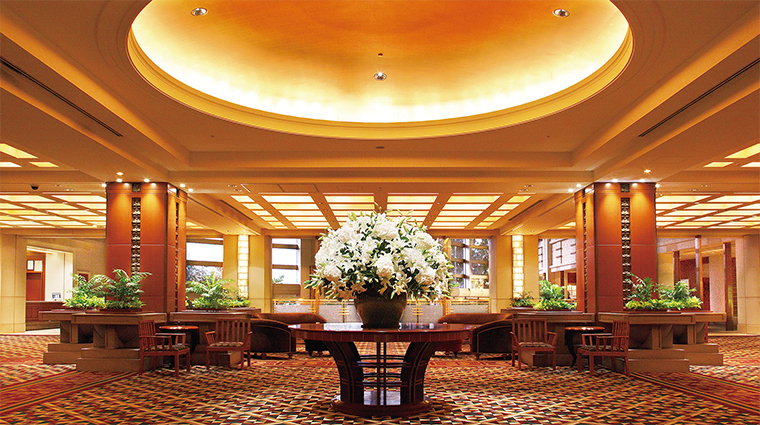 You will feel at home upon arrival as the welcoming, attentive staff complements the relaxing atmosphere of the spacious second-floor lobby. 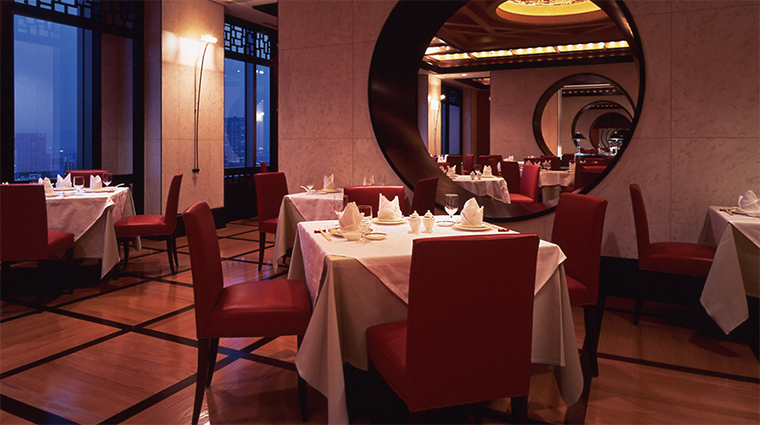 The property’s plaza is home to a number of high-end boutiques, and the hotel specialty shop has a range of unique Imperial Hotel gifts, as well as Western-style sweets and other delicacies. 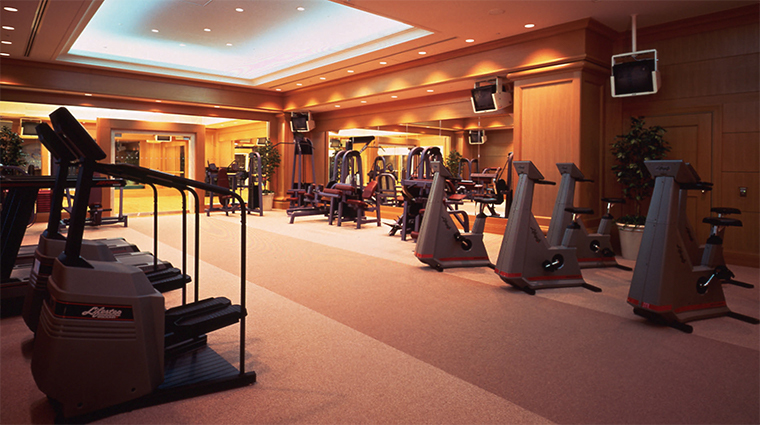 In the adjoining Annex Building, the hotel’s fitness club is one of the largest in Western Japan, housing all the latest gym equipment and is overseen by knowledgeable and helpful staff. 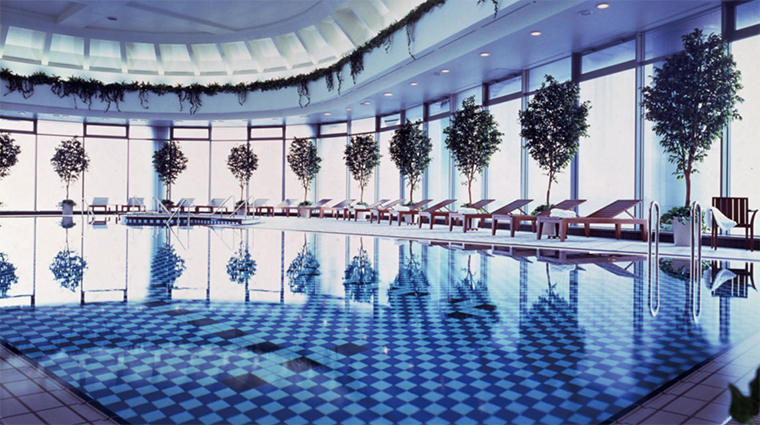 The 82-foot pool is bathed in natural sunlight, and there are also bath and sauna facilities and a heated Jacuzzi as well as areas for playing tennis and practicing golf. 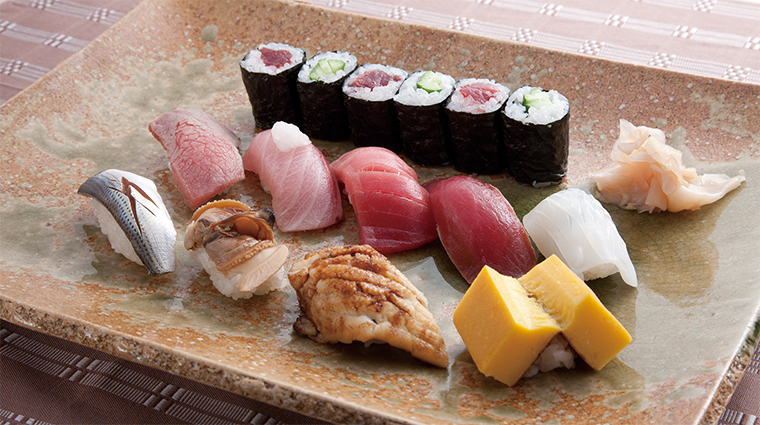 Osaka is one of Japan’s great culinary cities, and with a reputation long associated with exquisite high-end dining, the food at Imperial Hotel, Osaka doesn’t disappoint. 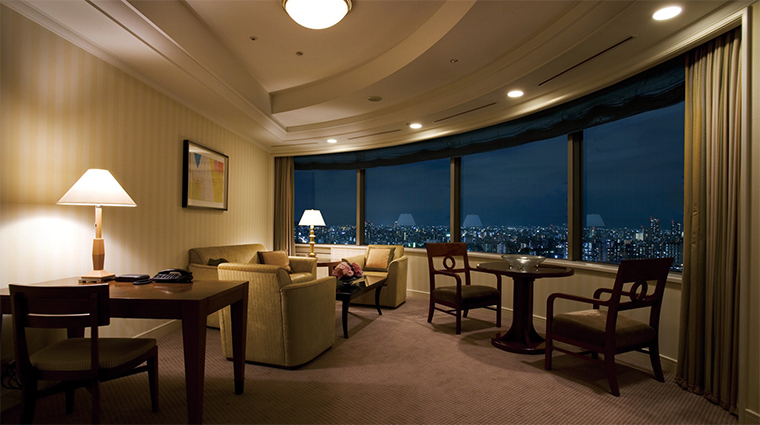 While the Osaka hotel does not offer an onsite spa, massage services are available upon request. 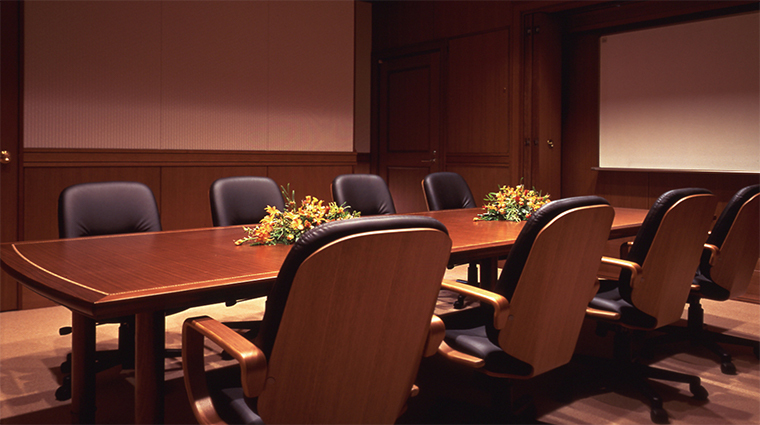 The Osaka hotel is an ideal venue for conferences and weddings, and there is a nursery room and soundproofed music space, too. 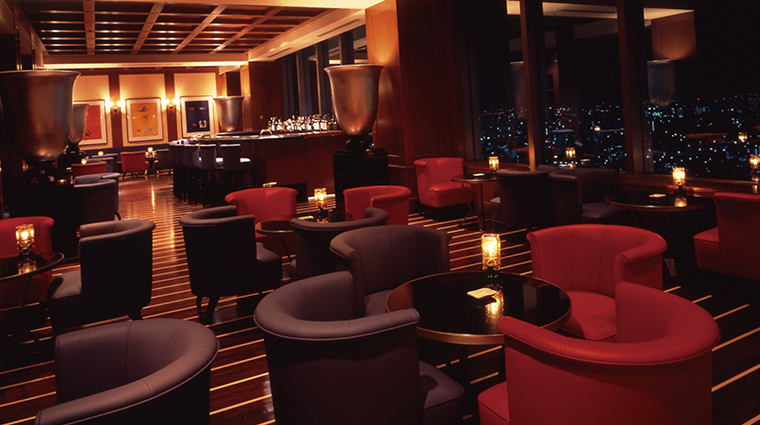 Downstairs in the lobby, The Park provides cakes and breads baked by the luxury hotel’s esteemed patissiers. 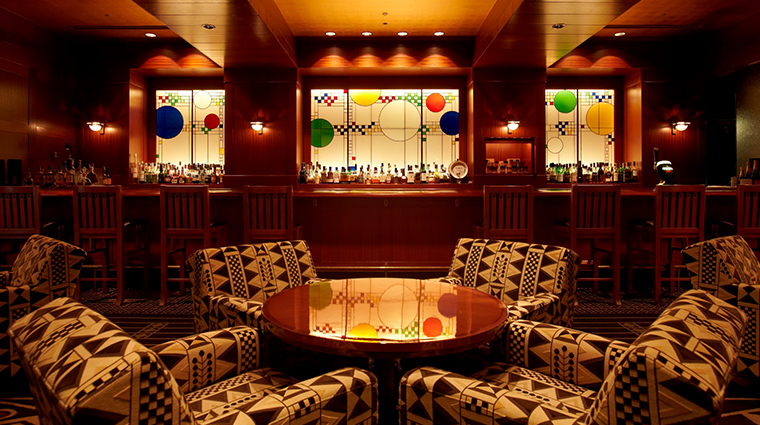 There are 381 rooms, ranging from the standard accommodations all the way up to the Imperial Suite. 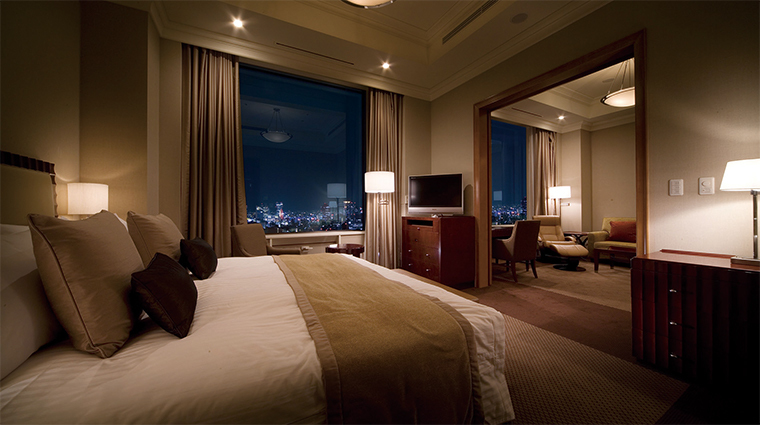 In all accommodations you can expect a high level of comfort with a classic but contemporary feel. Rooms are spacious and airy; the wide-frame windows guarantee spectacular city or riverside views, and the neutral-hued bathrooms have a modern and elegant feel. 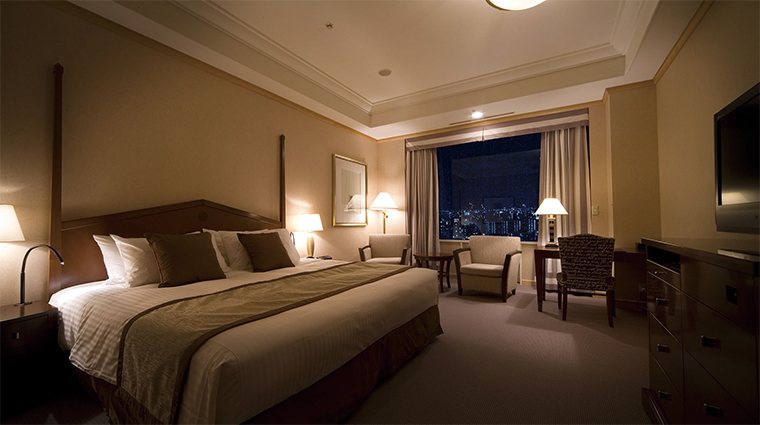 Floors 19 to 21 are the exclusive Imperial Floors, which feature larger rooms kitted out with Mikimoto Cosmetics bath amenities and luxury premium bedding. 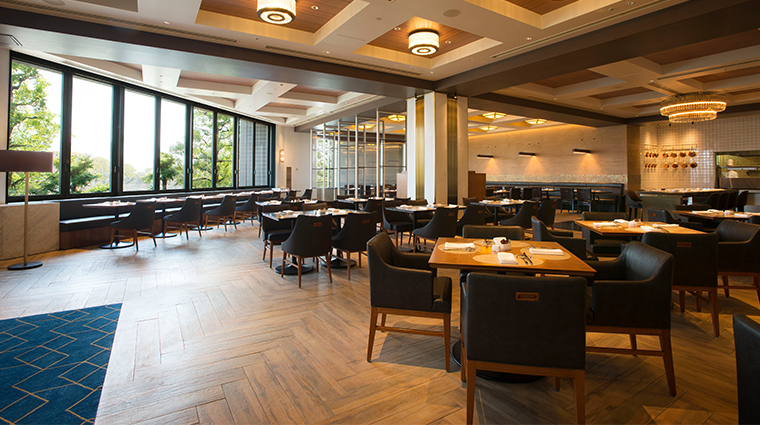 Les Saisons on the 23rd floor specializes in traditional French haute cuisine, and combines stunning nighttime views with a delicately balanced seasonal menu. 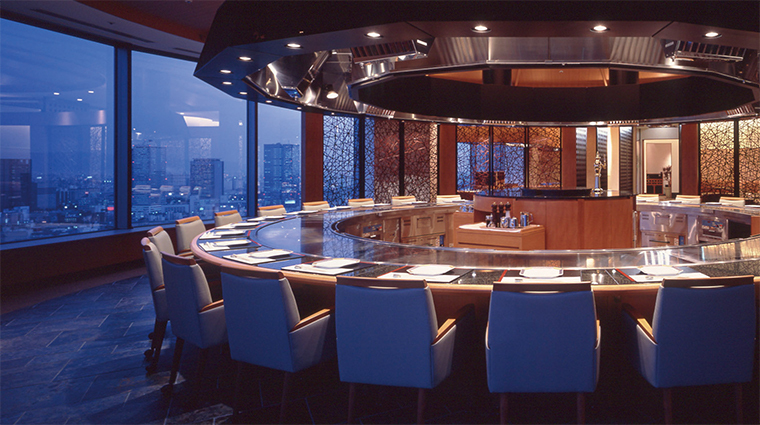 Kamon is a teppanyaki restaurant serving succulent Kobe beef and a varied assortment of seafood and fresh vegetables, all cooked and expertly prepared by chefs at your table. 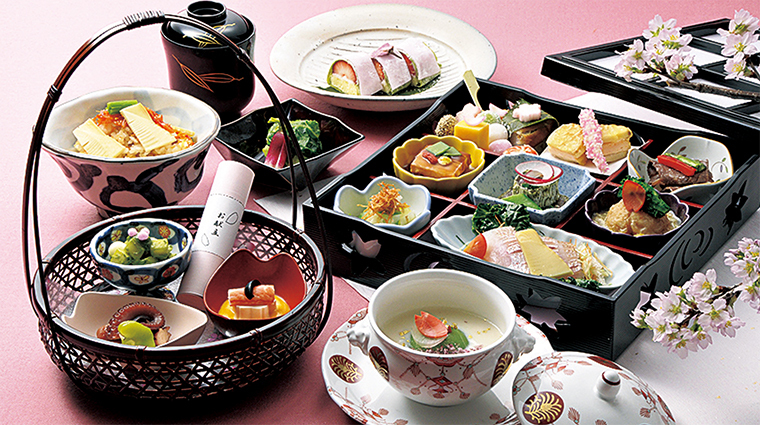 Jasmine Garden offers fine Chinese cuisine in an elegant setting, while Osaka Nadaman turns out innovative upscale Japanese dishes. Café Couvert opened in early 2018. 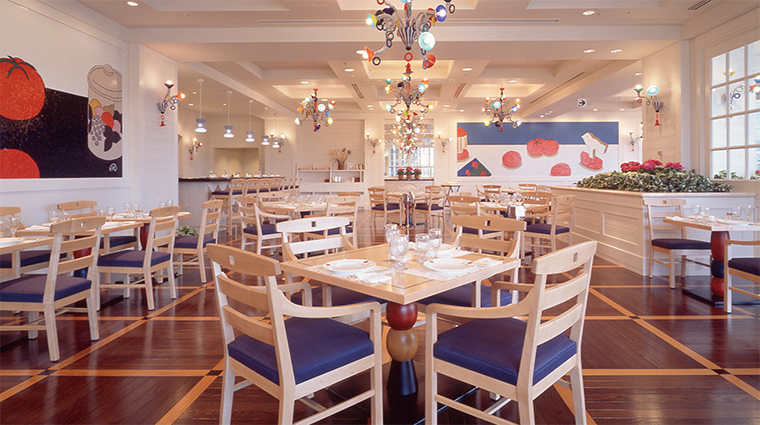 The eatery celebrates modern casual dining across breakfast, lunch and dinner.